A Baker’s cysts, also called a popliteal cyst, is a fluid-filled cyst that causes a bulge behind the knee. A Baker’s cyst can cause a feeling of tightness behind the knee and the pain usually gets worse when the knee is fully extended or during physical activity. Knee arthritis or a cartilage tear can lead to a cyst formation. This is because both conditions can lead to increased fluid production causing a Baker’s cyst. 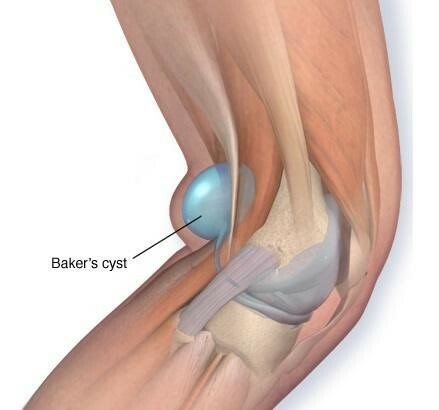 In some cases, a Baker’s cyst causes no pain but in other cases it may cause symptoms of swelling behind the knee and/or leg, knee pain, and inability to fully extend the knee. Symptoms can become worse during physical activity or during long periods of standing. Intraarticular knee disorders, such as osteoarthritis and meniscus tears, are commonly found in association with a Baker’s cyst. There is a valvular opening of the posterior capsule that is a 1-way valve which allows fluid to pass into the gastrocnemius-semimembranosus bursa. 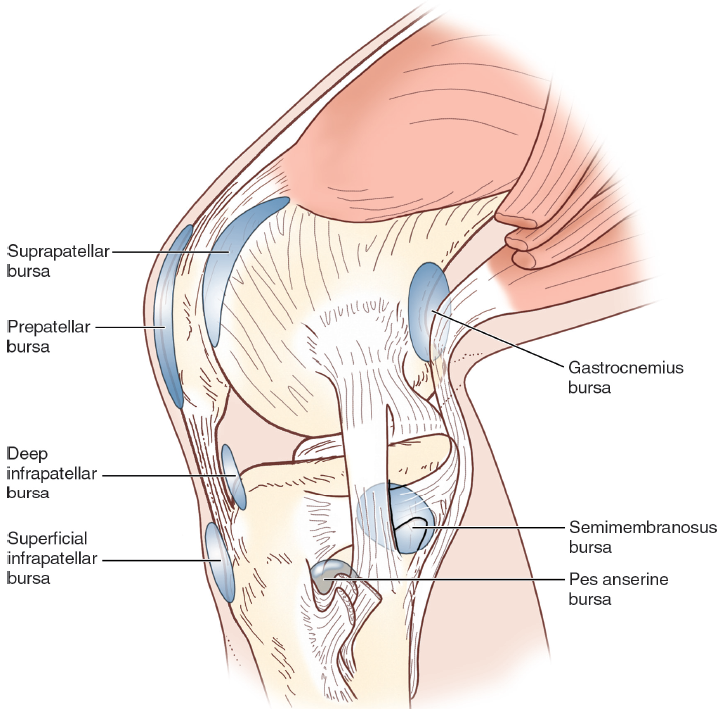 It is common for effusion to occur in intraarticular knee disorders leading to the hypothesis that a Baker’s cyst formation is likely occurring to provide protection for the knee. By transporting the excess fluid to the back of the knee decreases the hydraulic pressure within the knee through this 1-way valve. This supported by a study that showed that the volume of the Baker’s cyst is associated with the size of the knee effusions. The cyst wall resembles synovial tissue with fibrosis as well as characterized by chronic inflammation. Conventional treatment of Baker’s cysts typically results in surgery. Although surgical excision can remove the cyst, there is a 63% reoccurrence rate since treatment for intraarticular knee disorders are difficult.